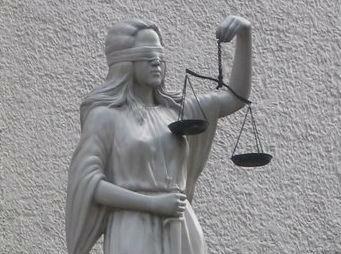 Maybe justice really is blind. For years now, various parties have been involved in various legal fights throughout the US, as the legal establishment tries to create a clear definition of what exactly poker is. Depending on which side of the fence they’re on, these parties have been trying to either have poker declared a game of skill, paving the way for greater legalization, or declared a game of chance, and one that is so terrible that playing it will be punishable by being locked in a cell with Phil Hellmuth for a year. Finally, in the last couple years, sanity seemed to be reigning. In a couple different cases, a few notable rulings seemed to indicate that the legal system was leaning towards viewing poker as a game of skill. The argument being, of course, that if some players can consistently win at poker, which of course they can, that the game features more skill than luck. If poker truly was a game of chance, then why are there poker pros, who consistently win bracelets and make it to final tables? But in that case of Colorado engineer, Kevin Raley, a judge just threw out a jury’s earlier ruling and declared poker a game of chance, and thus, a game that should be considered gambling. In another case, a judge made a similar ruling last week, even disallowing expert testimony at trial that would have argued poker’s merits as a game of skill. With the legalization of poker being argued at the highest levels of US government, these recent rulings are poorly timed, at least if you favor the game’s legalization. Will they have an impact on US legislators, as they decide which way to vote on an upcoming bill in support of legalized poker? Only time will tell. At Silver Oak, we offer a whole lot of different types of online video poker. Yes, there’s a lot of luck involved, but that just means that even if you don’t know how to play, you can still win a nice juicy jackpot! See all our video poker games, or start playing right now!